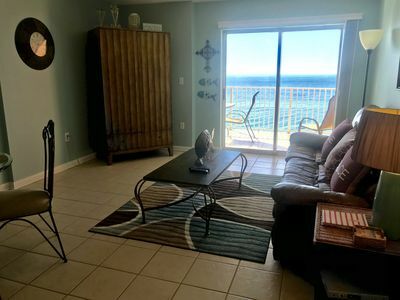 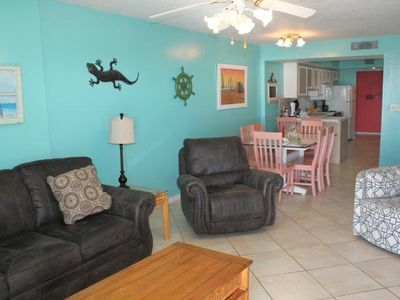 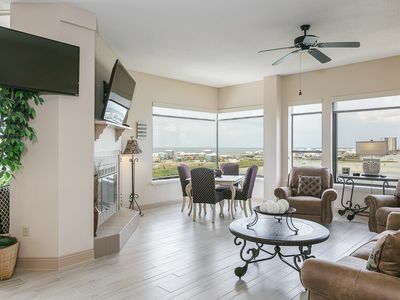 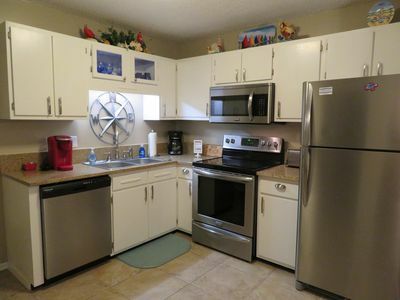 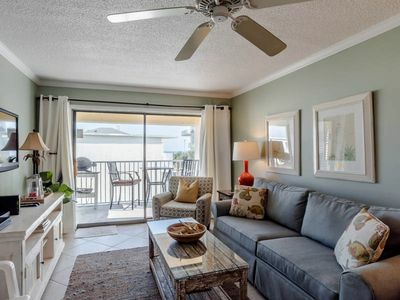 Recently remodeled / constantly updated 2 bedroom, 2.5 bath condo across the street from the beach with pool, boat dock, boat launch and private covered parking underneath unit. 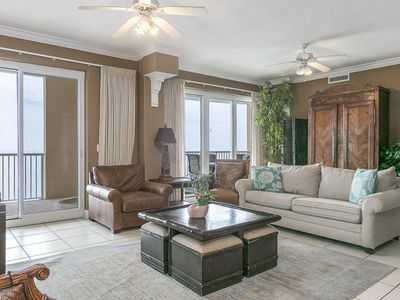 Reagan's Retreat features an open floor plan with 2 spacious decks providing views of the gulf and lagoon from every room. 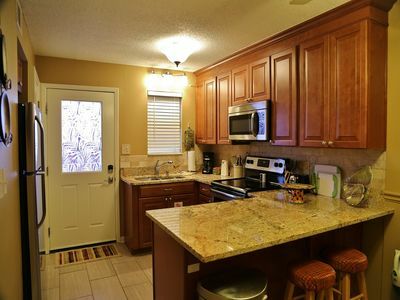 The completely remodeled main living area includes new tile thru-out, upgraded (and well stocked) kitchen with new cabinets, granite counter tops, stainless steel appliances and full size washer/dryer. 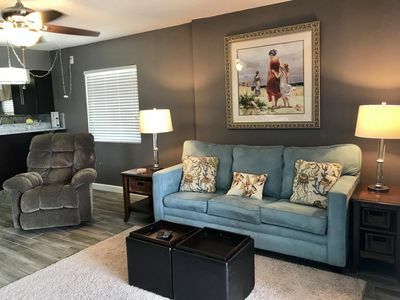 Additional living area features include a 43in HD/DVR TV, work desk with Wireless High Speed Internet access, Queen sleeper sofa and 2 recliners. 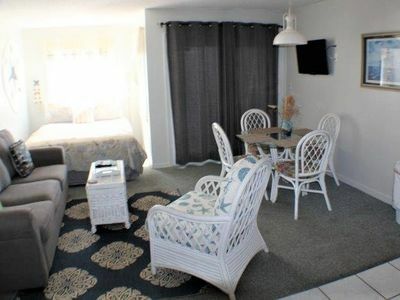 Upstairs, the Bedrooms include 1 BR with a Queen bed & private bath and the other BR with 2 Twin beds (that can be convert to a King) and a private bath. 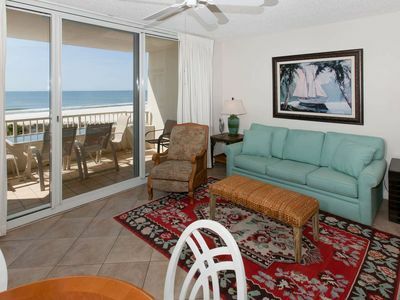 Each bedroom has direct access to the covered porch with great views of the gulf and lagoon. 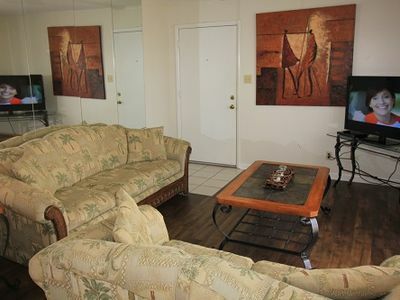 Each bedroom is equipped with a 32in HD flat screen TV's. 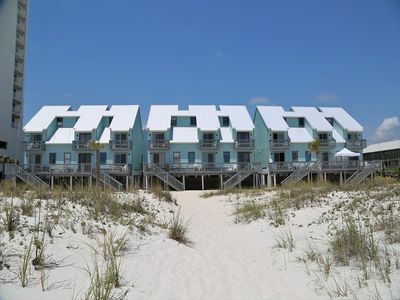 Also provided for guest use are Beach Towels, Beach Chairs and Umbrellas, Gas Grill as well as all the comforts of home while at the beach. 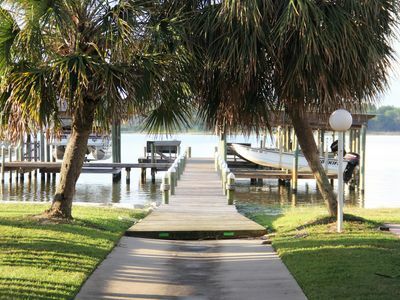 Also inquire about access to our private covered boat slip. 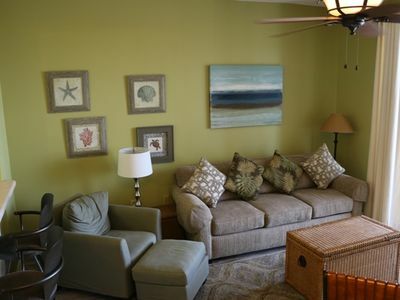 The Beach Club D-409 - FREE GOLF, FISHING, DVD RENTALS, WATERVILLE AND ESCAPE ROOM TICKETS! 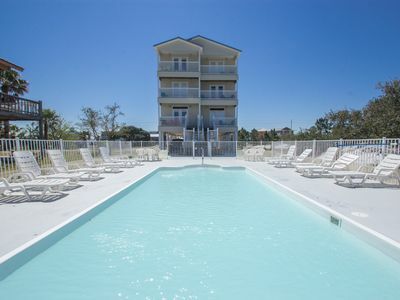 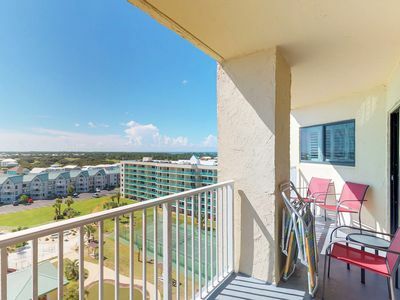 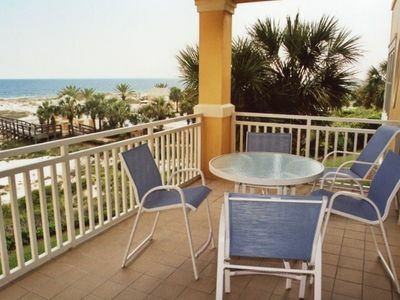 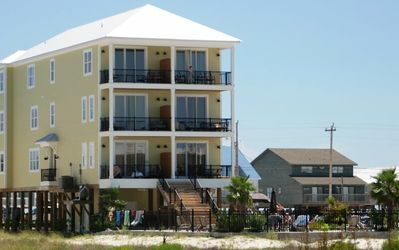 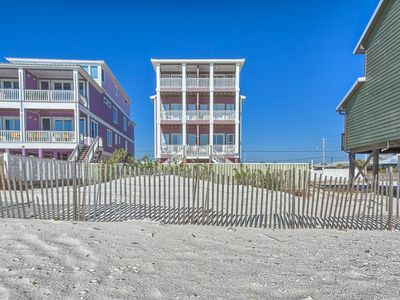 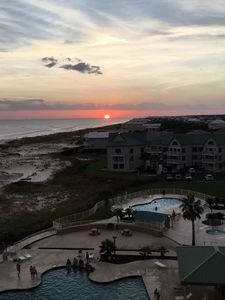 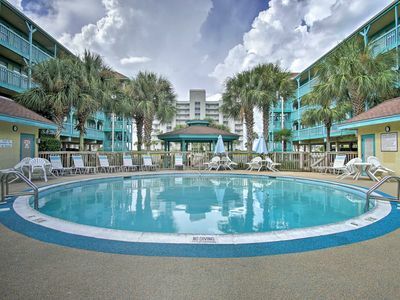 Gulf Shores Condo w/On-site Pool & Beach Access!